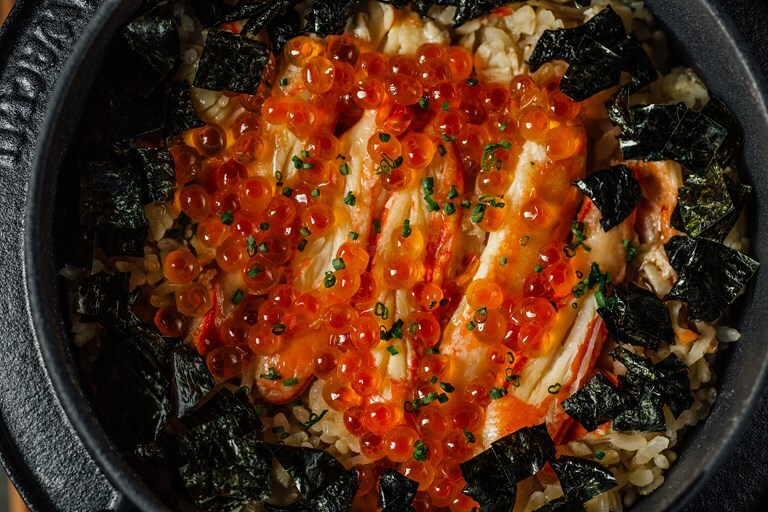 Hideki Hiwatashi’s magnificent crab kamameshi recipe is packed with rice, king crab meat and sauce, topped with salmon roe for a vibrant garnish. 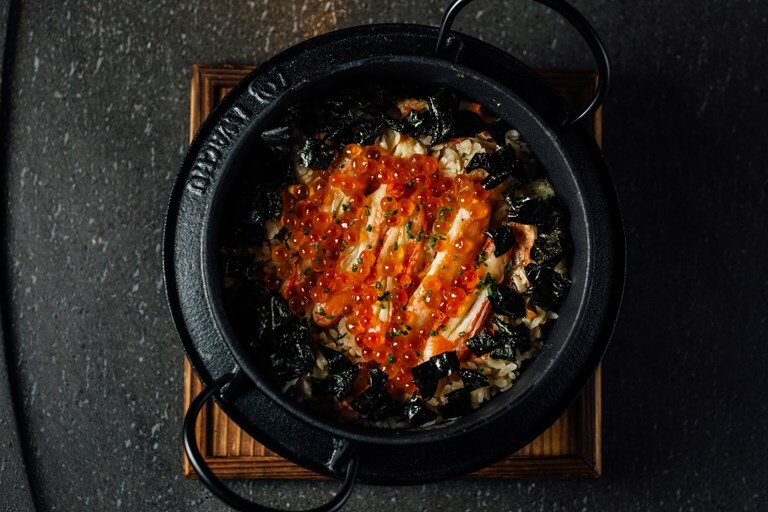 Some forward planning is required for preparing the dashi, but for the most part this Japanese rice recipe is a simple one-pot preparation. The chef recommends serving the dish straight from the pan in the centre of the table.